Reading has always been a huge part of my life. Remembering as a kid the excitement that would overcome me whenever I stepped into a library. I would spend most of my younger days sitting in the aisles and easily getting lost in the stories, the adventures, the characters and the settings that came bursting from within the pages and pulling me into them, allowing me to journey through my own imagination. At some point, I had also discovered comic books as an alternative form of literature and became an avid subscriber to Marvel, Archie, DC, Disney and many more. It became an amazing form of entertainment for my growing mind and an outlet for my creativity as a youth. Even now as I have matured into an adult, I still find appreciation in all styles of storytelling including but not limited to stories of horror, suspense, drama, mystery, action and romance. In early summer of 2011, I decided to open up a blog just to share my thoughts and ideas about the books that I was reading. Unbeknownst to me, there was a huge community of book lovers on the Internet. It was great! Being able to discuss the books that I had been reading with others, I really didn’t know what to expect but it turned out for the best. Also getting the chance to meet new people along the way and develop some great friendships. I was reading Tiger’s Curse by Colleen Houck and I instantly fell in love with the series. This is when I began to wonder how amazing it would be to get to know the author and receive answers to my questions about her work first-hand from the creator. In an effort to reach out to Mrs. Houck, a reply came back to me almost instantly! She was extremely humble and easy to talk to, making the conversation (not to mention my first effort in speaking directly with an acclaimed author) much more comfortable. From there on the wheels kept turning and I realized that this communication between myself and a well known author could be a great event to share with my growing number of followers. Furthermore, I would like to give thanks to Colleen Houck and Katie of Sterling Publishing for donating items for my giveaway and for giving me the opportunity to share it with everyone. It is because of them that my blog is the way it is now. Other than reading, I enjoy cooking, exercising, and life in general. I really hope you guys will find my blog to be fun, exciting, and informative. I thank you for visiting my blog. 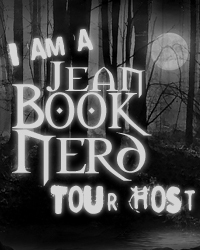 I also would like to extend my thanks to all of the authors and publishers; because without their dedication to their work and all the generous offerings, JeanBookNerd blogsite may not have been able to attract such an awesome, interesting and dedicated group of individuals that share the same love for reading that I have. "My name is Olivia. I am 8 years old and in the 3rd grade. I like to play with my puppies, read, art, dance, sing, and yoga. I like to read at the gym, school, and at home. My mom wants me and my brother to read every day. I like to visit our local library. Sometimes I stay up until10pm to finish a book. :) I like to read books with interesting characters." Hi, my name is Chloe. I am in the fourth grade and I am 14 years old. My favorite subjects in school are English, reading, and math. My hobbies are reading, ballet and figure skating. For my birthday, my parents got me a Kindle Fire HD7. We go to the library often. I have books in my backpack, in my desk at school, in my mom's car, in my room, in my skating bag, in my dance bag - Everywhere! My favorite kinds of books are history, mystery and fantasy. I love reading! James Vallesteros a freelance artist and photographer who is an admirer of all things geeky and nerdy. He enjoys a good fantasy book and transforming the characters onto digital canvas. With a keen eye for photography, He tries to capture the essence of the cosplay culture and community at conventions and gatherings. James also has a fandom of almost everything and it is showcased through his art and cosplay. From an early age, Joseph Flores was exposed to the comic book culture that would open a gateway to immense fantasy worlds spawning a desire to create works from his own imagination. With age, grew a stubborn passion for literature, film, music and performing arts. Combining all interests in time would lead to a career in illustration, music production and tattooing. With a lifelong dedication to creativity with a freethinking mindset Joseph Flores aspires to connect with other like-minded individuals. Erik Werlin is a 28 years old digital artist, Photographer, Director, Editor and everything in between. He is an all around geek and nerd. Erik loves reading and telling great stories. He loves science fiction and fantasy stories more than anything else. With an artistic eye, Erik tries to incorporate love of nerd culture with passion for stories to tell new stories in both photography and videography. Mark Johnson is a 33 year old California native from the Central Valley. While growing up he was exposed to video games and cartoons based on comics. The 90's animated X-Men series started his true interest in such properties. Since then, Mark has a wide range of creative outlets. These include woodworking, 3-D printing, and over sized costumes. His other interest include multiple areas of science with cosmetology being a favorite. Edward Chung is a 29 year native of New Jersey's East Brunswick. He developed interest in art at an early age which laid the foundations for his passions in film, photography, cosplay and much more. His collegiate years shifted focus into obtaining a degree in advertising and marketing. Entering the next chapter in his life, he recently made the move across the country to Los Angeles in pursuit of new and old goals such as directing movies and esports casting. Americo Galli is known for his work on Locating Silver Lake (2018), B-Sides (2010) and The Newsroom (2012).